This book, written by my father, is a new addition of a highly-praised local classic with a specially written foreword by me. A View from the Alley is a delightful romp through the back streets of Luton in the early twentieth century. We see the colourful characters who dominated the scene, and pity and admire the tenacity and stoicism of the working class poor. Aubrey Darby chronicles his childhood, his sparse education, his employment from the age of eight, inviting us to enter the world where laughter and initiative overcame the worst that life could offer in the form of disease, poverty and war. As a social history this book is invaluable, as a story laced with both pathos and humour, it will linger in the memory. I have been reading this book with my daughter. We have been enjoying it. It’s very interesting for me to learn so much about my great grandfather and for my daughter to read about her great great grandfather. It’s extra interesting for us learning about life in England then since we’re from the US. I’ve also been reading the blog and can’t wait to read the full book and learn more about your and my grandmother’s childhood. Thank you, Jessica, for all your interest. Certainly Graham. Good to hear from you. Please email me at Darbyjudith@hotmail.co.uk with your address. 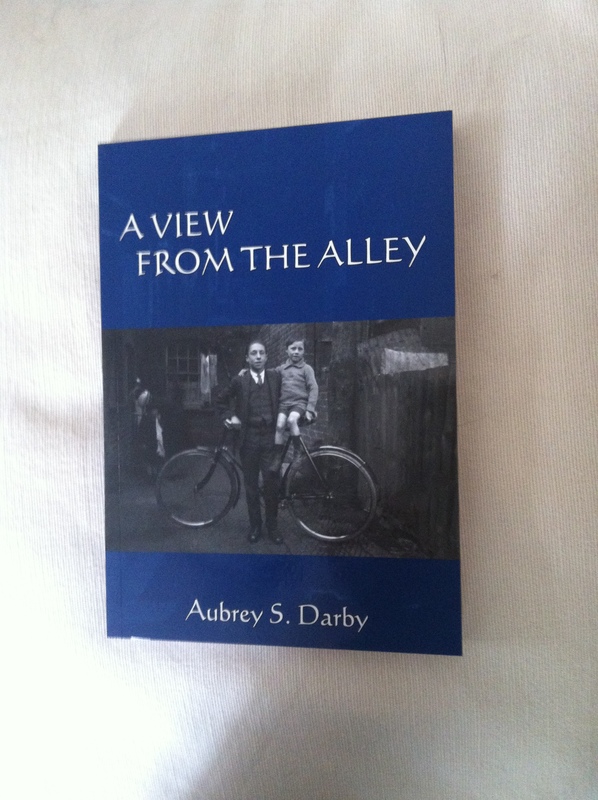 Your copy will cost you £7:99 plus £2 p and p.
Is it possible to obtain a copy of A View From The Alley. I am a Lutonian and enjoy reading about the times gone by. Of course, Patricia. Just send your address to Darbyjudith@hotmail.co.uk and I’ll put a copy in the post.